Every so often we desire to tweak our homes to give it a fresh new look. Most people shy away from doing anything because it’s usually associated with a considerable budget. Without breaking the bank or dipping into your savings, there are small but significant things you can do to update and transform your home. Some of these take the same time your husband requires to go to and fro a men’s barber shop. Sometimes the best way to transform a space is to remove furniture, not add. Let’s work with the living room. What items do not have functionality or aren’t serving as a decorative piece? Whatever is old, falling apart or just doesn’t work in that space does need to be cleaned out. You could donate them or sell them. The latter option will facilitate the purchase of minimalistic items that instantly update your area. We often get excited about the decorating stuff but decluttering and cleaning out junk is harder. It is well worth it and a necessary step in creating a space you love. People and their taste change as well. Don’t be afraid of letting go of what you don’t like any longer. One man’s junk is another man’s treasure. The reason why we fall in love with historical sites and other unique architectural buildings is that their unique designs stand out. You don’t have to knock down walls to achieve this architectural interest. The adding texture walls, a board, framed photographs, a mural or ironwork can quickly, simply put, make a place look more interesting. Think of your favorite spaces; do you like Victorian designs or does something futurist suit you? There are both creative and cheap ways to bring these aspects to your house. Sometimes you don’t need new items. Sanding and repainting an article is one quick way to change your home decor. Do you love a particular piece of furniture but the color just isn’t doing it for you? Depending on what you’re going for, a dark or lighter vanish can do the trick. You can create an elegant or playful space by using paint. You can repurpose furniture and move it to a different room where it’s needed. What you require is inexpensive. Paint, spray paint, sandpaper and varnish are some of the things you can purchase to transform your space. If you have children, you can turn it into a fun family activity. It doesn’t have to be Christmas for you to transform your home to suit the season. There are decorations you can add for each season of the year. During winter you might want to coop your sofa nearer to the fireplace, but for spring and summer, you might want it closer to the windows. Moving furniture around takes no time at all. 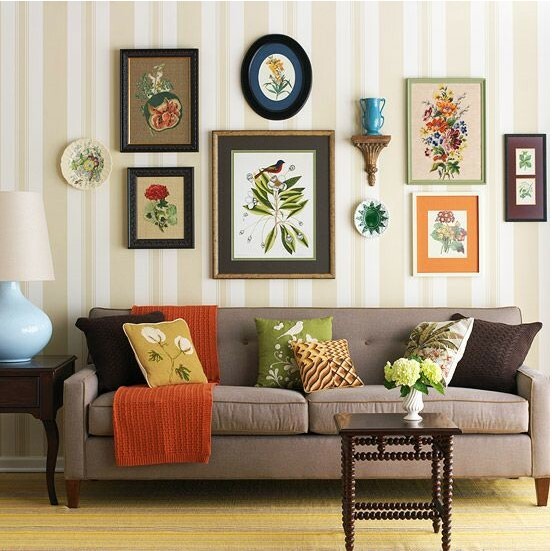 You can also add plant decorations in your living room area. When they’re not in use, you can always keep them in your garden. If you are looking to improve your property on the inside and you are seeking for some good computer software to aid you, this guide is confident going to help you! For instance, you can move elements like walls , windows or furniture pieces around, fiddle about bit and see how issues fit with each other, and how moving 1 piece of furniture can have a distinctive really feel and appear to your ideas throughout the design and style stage. Get inspiration from our concepts library or users’ household design templates from customers gallery and generate your personal property style. It is straightforward to apply furnishings from tables or chairs, but the selection is not as plentiful as the Homestyler computer software above. Design homes, flats, offices, nation-homes, cafes, bars, your dream houses, just something in 2D or 3D modes. If you are an interior designer and you own an interior design and style outfit, the 3D software program for home style is the only tool that will aid you communicate your style suggestions to your clients. If you are an architect or builder, you will need to have to design floors with 100% accuracy. Interior style software program will give you an edge when you are out there practising your profession. If you are an interior design and style student, 3D application for house design makes the understanding process quick. Accessible to absolutely everyone, House Design and style 3D is the reference interior design application for a expert result at your fingertips! When designing a space from scratch, it is tough to consider almost everything in your head so that is why interior style application is produced. You will be able to show your interior designs projects explicitly in a 3 dimensional format applying the 3D application. Most individuals can’t study plans really nicely, and several will keep in mind the days when most clients couldn’t figure out 2D drawings, elevations and sectional drawings, let alone 3D designs. Probably not as nicely identified as the Homestyler application, this innovative web page provides a totally free demo with no signing up and is also totally free if you sign up. It seems this web page is nevertheless in Alpha and its 3D view is still in Beta but the site as a complete is still great. This software is completely absolutely free and you never have to sign up for anything and no downloads either, it is all on their site. When do-it-yourself(ers) who are savvy sufficient to use style application applications need to have to make modifications in their residences , they can 3D computer software as well. Advanced technology has gone a long way in guaranteeing that interior design and style ideas and layouts can be completed in a manner of hours, with perfect 3D drawings developed at a click of a button. Are you lastly prepared to tackle that property improvement project that’s been on your thoughts? Keep in mind that experienced in the bathroom remodeling, renovation or creating business in Chicago have a skilled, licensed and experienced employees which can eliminate and replace old bathtubs, replace old bathtub fixtures, set up new and modern day shower stalls, replace outdated toilets and even set up Jacuzzis or spa tubs. Hiring a contractor does not have to be scary, as lengthy as you’ve accomplished a small homework it really is worth your time. An unscrupulous contractor can promise you the globe, but if you never have it in writing, you don’t have a leg to stand on. Download 3D House Style by LiveCAD Ini dia saingan Sweet Home 3D. Dari sisi antarmuka 3D Property Design and style dari LiveCad ini memang lebih. This score provides you an notion if you can use your personal drafted floor plans for a building project or if a contractor desires to fully rebuild your design and style applying a larger-capacity program like CAD software program To determine the high-quality of the programs’ end results, we surveyed experienced architects and interior designers who scored the final 2D and 3D floor plans developed on each program. Purchasing for furniture and house décor products entails driving from shop to shop, generally throughout peak site visitors times. When all of the applications have grids you can create foundations and rooms on, each and every software program has a exclusive interface that impacts its ease of use. In our testing, the Total 3D goods did not present clear 3D renditions of the home we made, and we could not reference them though we had been developing the 2D floor strategy. These essential tools assist you brainstorm ideas, draw up floor plans and edit pre-existing ones, purchase supplies, and construct the residence.